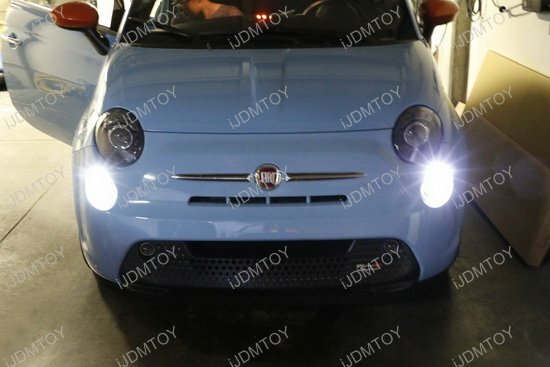 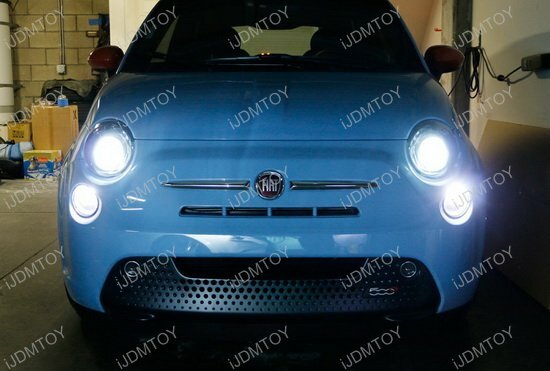 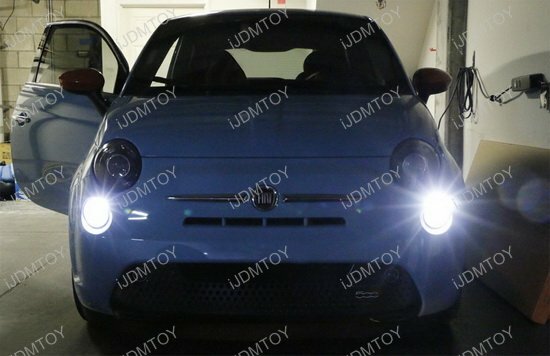 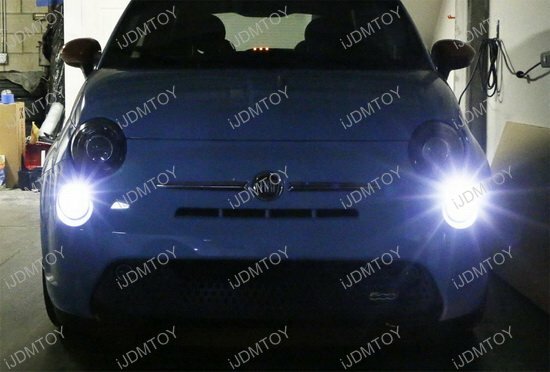 This page features one pair high power 6000K xenon white 15-SMD LED replacement bulbs for Fiat 500 daytime running lights. 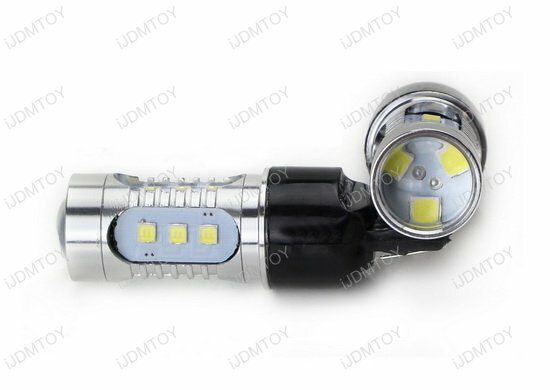 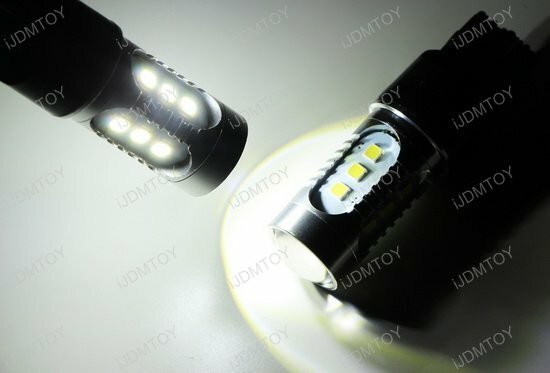 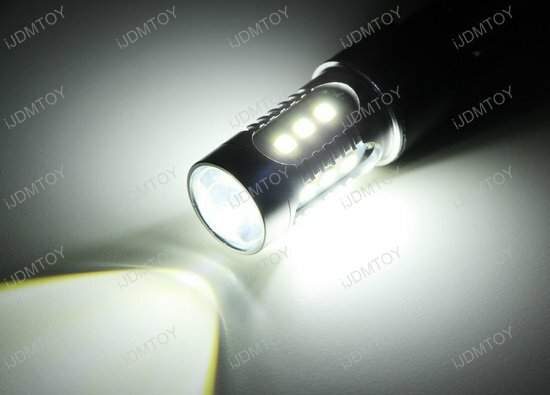 This kind of 5730-SMD high power LED bulb is powered by 3 pieces 5730 SMD LED chips on top with optical lens with 12 pieces 5730 SMD LED chips on each direction. 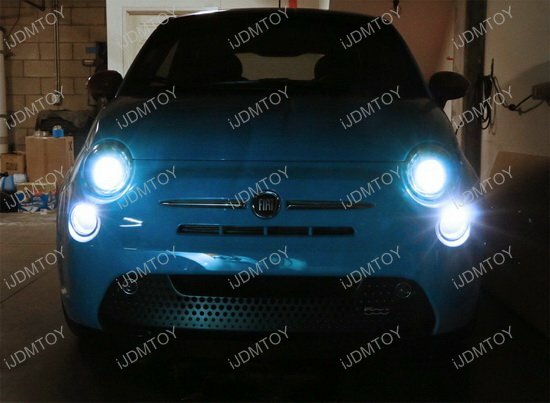 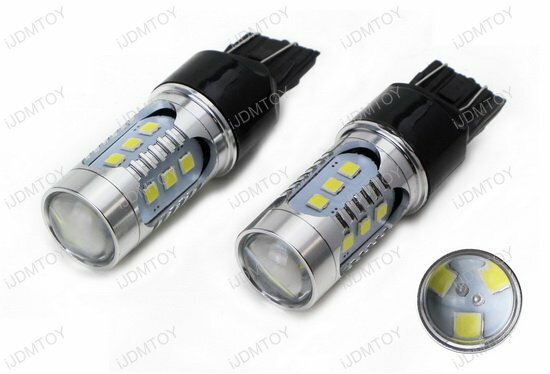 These LED bulbs will directly replace Fiat 500's stock incandescent daytime running light bulbs. 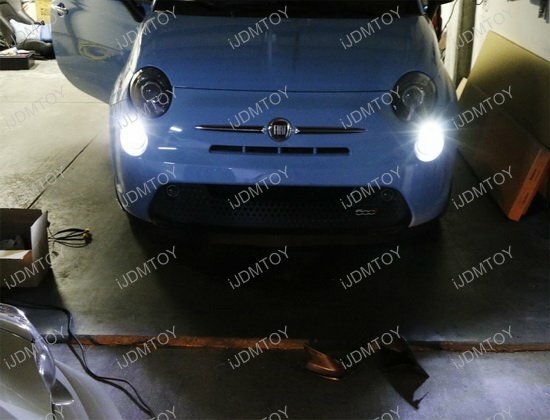 Since the LED bulbs have lower wattage, you will see an onboard computer warning right after you start the car. 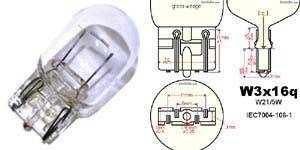 However, you can easy fix it by adding load resistors or simply ignore this.